TEA BENEFIT EGCG in green tea blocks the mutation of cells, reducing cell damage, blocks tumor growth and blocks the liver enzymes that convert pro-carcinogens into carcinogens. EGCG in green tea blocks enzymes that cause cancer cells to grow and it can destroy cancer cells without damaging surrounding healthy cells. Scientists also revealed that this effect is 10 to 100 times more potent in green tea than in black tea. Green tea increases the bloods antioxidant capacity. EGCG kills cancer cells and, in particular,inhibits prostate cancer cells. Green tea has been shown to reduce damage to blood vessels in smokers. 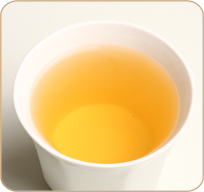 DESCRIPTION A pleasant mild an aromatic leaf tea with a slightly tart taste. This green tea is of China origin.